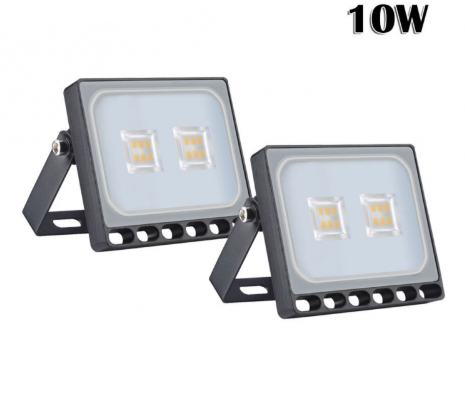 Outdoor 10W Ultraslim LED Floodlight is tailor-made for your small and medium-sized cost-effective, functional, low-power outdoor LED floodlights, stylish lightweight design, excellent energy efficiency, and Reliable protection level will be your excellent choice for low power floodlighting products product comes with adjustable metal bracket, it can be installed in the ceiling, walls, ground and other locations, by adjusting the different angles. Compact appearance, perfect fusion of the application environment, compact overall panel design, can be better combined with the architectural landscapeWidely used in the building envelope outline, bridges, Station, Park, Hotel Club and other landscape Lighting-Such as Play Grounds, Front or Back Yards; Advertisement Billboard; Construction Building, Garden-Tennis Courts, Car Parks, Stadiums and Terminals, and so on. Imported chip, high brightness, low power consumption, low heat. This lamp has a beautiful appearance, easy to install. Protection grade up to IP65 can adapt to a variety of temperature and humidity inside and outside the environment.